Drawing inspiration from the retro styles of the mid-century modern era, the Cipria Dining Chair will bring vintage cool to your dining space. 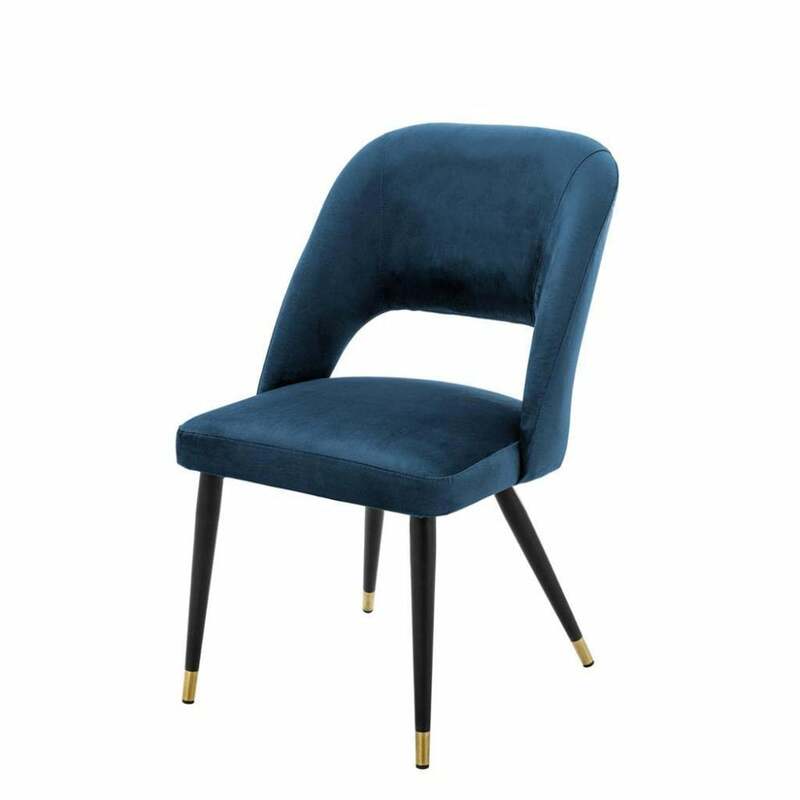 Featuring a deep seat and curved backrest, the chair is crafted with a plush foam fill to provide luxurious comfort. Upholstered in a choice of roche green, blue or Bordeaux velvet, the rich fabrics will bring a pop of colour to your interior scheme. The sophisticated framework is finished with polished black legs and contrasting brass caps. Style with the Umberto Dining Table by Eichholtz for a luxe look that reinterprets 50’s glamour.